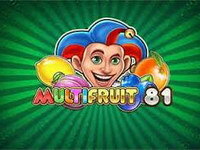 Multifruit 81 is a brilliantly retro online slot from Play N Go that is an homage to the fruit machines of yesteryear. The symbols are made up of the classic fruits of cherries, watermelons, oranges and lemons, and are completed by a single bar and 7 symbols. 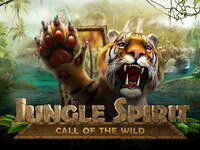 The ultra-simple yet elegant design of the game is in keeping with the old-style fruit machines it is trying to emulate, and the catchy theme tune is a glorious piece of nostalgia. 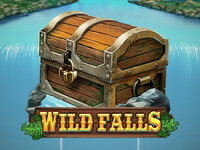 Multifruit 81 is a 4-reel video slot with 81 payways, spin the fruits to reveal their cash prizes. When the friendly fruit Joker appears within the reels he multiplies your fruity wins. One reel is highlighted before each spin. If the Joker wild symbol lands on the selected reel, it will duplicate and replace all other symbols on that reel. The fruit joker symbol is wild and can substitute for any other reel symbol to help comprise winning combinations. The joker also multiplies the win on the payway. 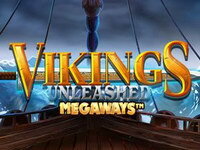 A combination of two joker symbols will multiply the win on the payway by 2. And three joker symbols will multiply the win on the payway by 5! 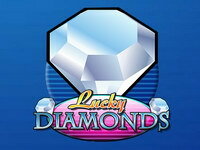 Lucky Diamonds is a jewel themed virtual slot machine made by Play 'n GO. 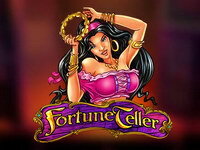 It is an online 3-reel slot that includes classic symbols like cherries, BAR's and jewels. 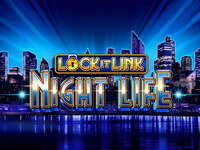 Diamonds are wild and substitute for any other reel symbol on the payline. One diamond doubles the prize for a winning combination. Two diamonds quadruples the prize for a winning combination, except when the payline shows 3 diamonds.